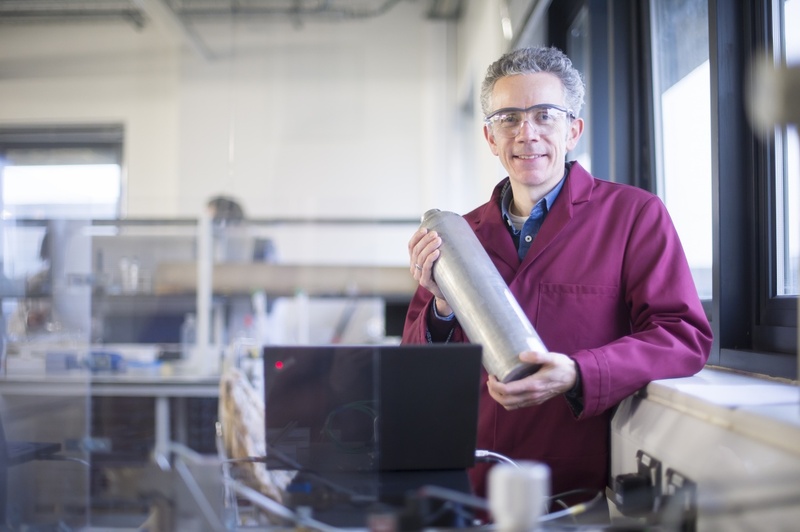 Professor Gavin Walker, of the University of Nottingham’s Faculty of Engineering, is leading the new Centre for Doctoral Training in Sustainable Hydrogen. Here he reflects on the challenges ahead. The UK has set a target of a 57% reduction in carbon dioxide (CO2) emissions by 2032, and an 80% reduction by 2050. Around 70% of our energy is used for heating and hot water and most of this demand is met by burning natural gas. It’s unrealistic that all of that heat burden can become electrified. Transport’s CO2 emissions have only dropped by 2-3% in the past couple of decades, nothing like what’s needed. Battery electric vehicle technologies are part of the solution but current battery technologies are too heavy and take up too much volume to be viable for all transport applications. The generation of cheaper renewable energy has made great strides and during the 2018 summer, 57% of the UK’s power was met by low carbon generation. But we lack the storage technologies and infrastructure to fully harness the potential of renewable energy, so it can be stored and delivered where and when it’s needed. Our CDT brings together world-leading experts from here at the University of Nottingham and our partners at the universities of Birmingham, Loughborough and Ulster to address these obstacles and secure a low-carbon future for the UK. Our research priorities are low-carbon generation of hydrogen, the storage and distribution of hydrogen, safety, energy systems and end use, including the social, economic and business aspects. Hydrogen is a low-carbon, versatile source of energy. Hydrogen gas, for example, only produces water when burned. Hydrogen-powered vehicles offer competitive solutions in terms of range for cars and suitability for heavier vehicles and goods transportation. Our research aligns with the Government’s Industrial Strategy, Hy4Heat programme’s investigation of hydrogen as a replacement for natural gas as a heat source, and funding to accelerate the take-up of hydrogen vehicles and support the growth of the UK hydrogen economy. We also address non-technical challenges, such as routes to market and the social factors that can inhibit the adoption of novel hydrogen technologies. An overarching theme across all these areas is safety. At Nottingham, we are interested in storing hydrogen as a solid in compounds like metal hydrides, which allows us to store the same volume of hydrogen at 20 bars of pressure as would normally require a tank at 700-bar pressure. This greatly reduces the risks that would be associated with high-pressure storage. Colleagues at Ulster and Loughborough universities are investigating the engineering of safer designs, such that any new hydrogen technologies will be engineered to a much higher safety standard than the incumbent technologies. New hydrogen technologies are smarter and more advanced, such as hydrogen fuelling stations with secure, air-tight nozzles that only dispense whilst there is a safe and secure connection. Professor Gavin Walker: It’s an exciting time to be researching hydrogen technologies as we work to address big changes in the energy system over the next five to ten years. Our Centre for Doctoral Training in Sustainable Hydrogen will recruit 67 PhD students over the next five years. Our cohort training approach will deliver research leaders with the transdisciplinary understanding of the science and engineering limits of hydrogen technologies, along with an appreciation of the barriers to the market (including legislative, economic and societal). This is the skill set needed to transition hydrogen innovations into the energy system. Thanks to our relationships with industry and other stakeholders, these doctorates will be industry-ready, with our partners contributing to training and secondment opportunities. The contribution of our partners in industry will also speed up the translation of our discoveries into the market place. We want at least 20% of our PhD research projects to have a transformative impact. Innovative training was one of the key criteria in our successful bid to the EPSRC (Engineering and Physical Sciences Research Council) and I’m really encouraged by the enthusiasm and commitment of our academics and stakeholders to deliver an exceptional environment for our students. Our students will be joining a vibrant research ecosytem: the vision of our CDT is to empower our cohort as valued members of a wider community of sustainable hydrogen researchers. We are also mindful that technology innovation must be supported by strategic policy direction and market incentivisation: for example, at the moment there is no market for energy storage at the grid scale. Our researchers’ outputs will help inform the policy that steers this debate. It’s an exciting time to be researching hydrogen technologies as we work to address big changes in the energy system over the next five to ten years. 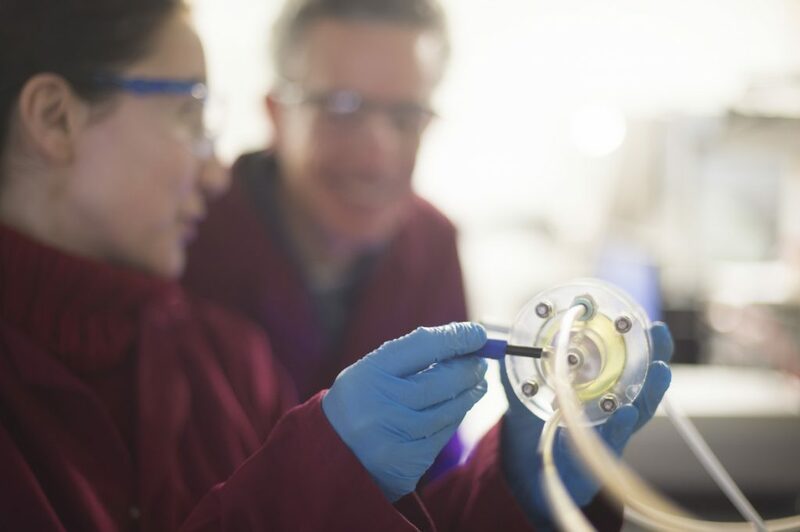 By training the next generation of hydrogen research leaders we will deliver such world-leading technologies into the energy system and help secure the UK’s low-carbon economy.